Can You Use a Calculator on the ASVAB? 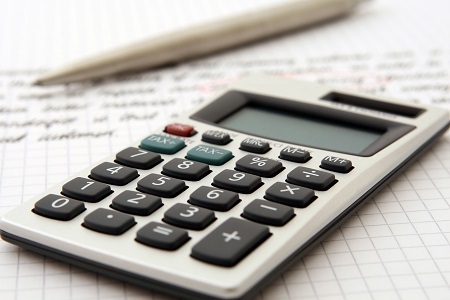 One of the most commonly asked questions ASVAB test takers ask prior to taking the ASVAB is whether or not they are allowed to bring or use a calculator on the ASVAB. Simple answer: No, do not get to bring a calculator to use while taking the ASVAB test. Why Are Calculators not allowed? Because the ASVAB is compromised of many math focused problems, many of the questions could quickly be solved with the use of a calculator. That places too much of a focus of solving math problems not on your ability to solve the problem relative to other test takers but your ability to use a calculator relative to other test takers. In addition, if calculators were allowed and test takers could bring in their own it may create an unfair playing field as some test takers may bring higher quality calculators than others. That would force ASVAB test administrators to supply the same calculator to all test takers nationwide and they all would need to work properly. While out in the field, you may not always have easy access to a calculator to quickly make problem solving decisions. Whether or not you can solve basic math problems without the aid of a calculator can have a big impact on whatever situation you may be involved in. Also you could say that ASVAB test creators are more concerned about creating challenging questions – not making your test taking experience any easier. The ASVAB test administrators do a good job at supplying you with just about everything you need for taking the ASVAB. A calculator is not the only thing you do not need to bring to the ASVAB test. Because calculators are not allowed on the test, test administrators do allow you to work out math problems on scratch paper. For that reason you should certainly have scratch paper handy instead of a calculator when doing any sort of math question preparation work. Whenever you are taking ASVAB practice tests, either online or in print, you may want to have scratch paper handy. Test administrators will provide you with number 2 pencils to use on the ASVAB test. This is to ensure that you do not fill out the answer sheets with a writing instrument that their machines won’t be able to read. If you do want to take a few sample tests prior to taking the official ASVAB test it may be a good idea to bring your own pens or pencils as you may not be able to use theirs before taking the test. Because you don’t get to use a calculator on the ASVAB test, there is no point in practicing with one. Breaking your dependency on your calculator to complete math questions will help you save precious time while taking the test and can have big improvements on your overall score. It is easy to improve your ASVAB scores when answering practice test questions with the aid of a calculator and more quickly get through the tests, but when it comes time for the actual test itself, you want to have plenty of practice solving math problems without a calculator. Practice makes perfect! Get started by taking our free ASVAB practice tests – without a calculator of course! Take our short ASVAB test version or get started on the ASVAB Mathematics knowledge section of the test.